The Bucs' Nick Kingham did what you want all spot-starting prospects to do in his major league debut. 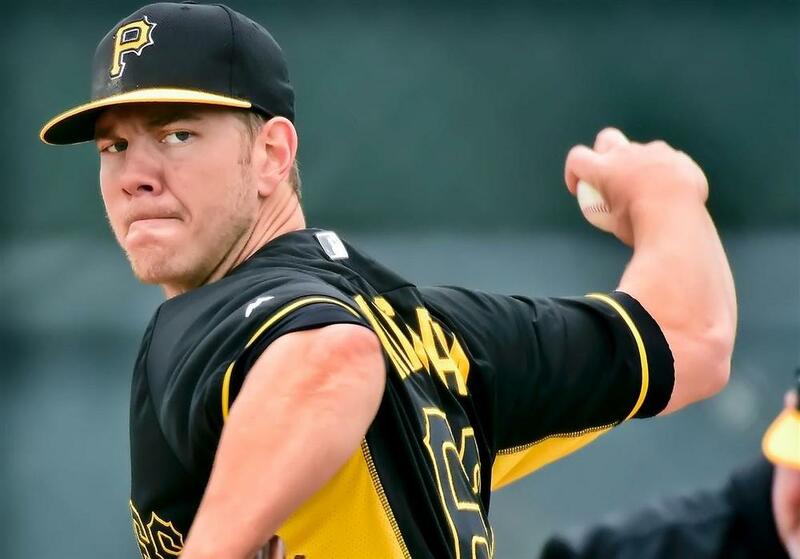 He gave the Pirates a compelling reason to keep him with the big club, and in the rotation, by taking a no-hitter into the 7th inning of his start against the Cardinals at the end of April. He returned on Friday for his second start and struggled against Brewers allowing 4 runs in 5.1 IP on 6 hits and walk while fanning 7. Nick was then sent down on Monday to keep his schedule while the Pirates look at some off days in their upcoming schedule. The 6-5/225, 26-year-old right-hander had an outstanding start to his 2018 season in AAA Indy as you can see below, posting a big jump in his K rate and a decent jump in his SwStr%, at least over his 2017 line. Nick was supposed to be part of the Pirates' big three of starting pitching prospects along with James Taillon and Tyler Glasnow. Two of them, Taillon and then Nick in 2015, ran into TJS. That cost Nick the remainder of 2015 and almost all of 2016 before he returned "fully" in 2017 after an ankle injury that took spring training away from him. So 2018 is the first "normal" season ramp up he's seen since the beginning of 2015. Nick has been known as a fastball/change guy with a curve-in-progress but he's throwing what Baseball Info is scoring as a slider in the majors, largely in place of that change. His velo seems to up a tick from his scouting reports, averaging 92.8 in his first start as he was ranging into the mid-90s. That puts that slider at a nice -10 delta, his curve (7.1%) at -12 and his change (4.1%) -7+. What makes this all play up is both his command and control (he throws all of these for strikes and articulated strikes, he can hit his quadrants) and the sinking action on his fastball and change. His height gets him over the top of both pitches and gives them sink, and that produces GBs, but it seems to work against him in terms of staying down in the zone. His command seems to be so advanced, however, that this might be an approach issue. If he's added a slider or cut, or whatever that pitch is, we'll wait and see how that changes his mix. His velo isn't top shelf, but with a 4-pitch mix it doesn't have to be. I am concerned about how well he can live in the upper half of the strike zone in the majors and what happens when his K rate regresses as MLB scouting and prep catches up to him. Still, he's a strong MLB-level SP prospect, and he should have a lengthy career as a back-half-of-the-rotation starter. His ceiling, in my estimation, is that of a small market #3, but I'm not expecting that. Nick is an MLB #4, but his control and sink should keep walks off the bases, and hitters in the park, and that makes him a solid option once he acclimates. Royals' right-hander Trevor Oaks was recalled at the end of April as the 26th man for an April 28th doubleheader against the White Sox. He started game 1 and gave up 5 runs in 5 innings on 12 hits, and a walk with 4 Ks. He was returned to Omaha after the game, which was the plan anyway. The 25-year-old Dodger product is in his second tour of AAA, his first in the White Sox organization after coming over in the Scott Alexander trade, and all we have seen in a small sample so far is a slide in his K and BB rates, possibly a reaction to some mechanical tweaks from a new developmental team as they try to renovate his mechanics after lingering oblique issues last year. The context to his AAA line last year is that he pitched in the PCL and his 51% GB rate helped him keep the ball in the ballpark. There he got some help on his sinker from Justin Masterson, some other tips from Greg Maddux and organizational directions to work on his change to help him with his same-side splits. So he brought a lot of changes to install when he changed organizations. It's probably fair to say he hasn't worked through them all. Baseball Info scored his first start deployment as FB (89.9) 56%, Slider (-7) 23%, Cutter (-3) 13%, and Change (-7) 8%. 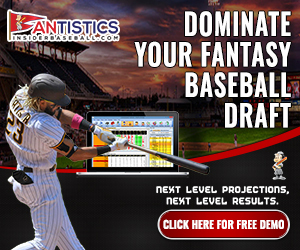 I am not sure how that jives with earlier scouting reports and maybe the White Sox are tinkering more than we know. Maybe the slider/cutter stuff is an attempt to give him something to work with while pitching same side. What we do know is that velo isn't his game, neither is change of speed. Trevor works with sink to throw ground balls, and command and control. Until this year his control rates have been strong and he's going to have to limit walks and keep the ball in the ballpark to succeed. He has the skill set but I think at this point I think we should just hang a "Pardon Trevor's numbers while we remodel" on Oaks. I also think what we need to keep in mind is that he doesn't project as a guy who will help you with Ks. At his ceiling what you want from Trevor is quality starts. In my mind that makes him a mediocre-reward prospect who currently carries a lot of risk as he acclimates to a new organization, a host of mechanical changes, and hopefully the major leagues. For what he projects to provide I think you are better off streaming established major league pitchers. Trevor is eventually a back-half-of-the rotation starter once he gets everything screwed down, but he's not worth stashing at this point. We'll check back in later this summer when the remodeling is done.